Ahhh, Blanton‘s. This is the granddaddy of the Single Barrel bourbon craze. They started releasing it in single barrel form in the 1980s, and it is still produced from barrels in Buffalo Trace warehouse H. One of the cool things about Blanton’s is it’s unique bottle, and the tops. There are eight different horses on the top of Blanton’s bottles, representing a jockey and horse coming to the gate, running a race, and winning – how very Kentucky! I picked up this bottle from the Buffalo Trace Distillery when we were there in June. It didn’t disappoint. 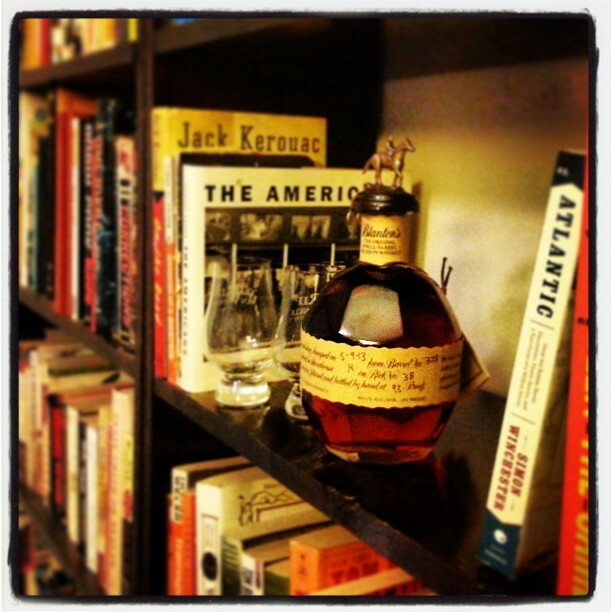 Dan’s Bourbon of the Week: Blanton’s Single Barrel (Barrel no. 328, 5-9-13). The granddaddy of the single barrel bourbons. The nose was fantastic – corn, apples, cinnamon, rye, and a hint of…apricot? But the taste – so smooth, so clean. It’s has a nice mouth coat – soft and buttery. It’s got a bit of wood char bitterness, but is as smooth as almost any I’ve tasted. You can taste the corn, and there’s a sweet detection of summer fruits, like apples. The finish is mild, not overwhelming. I love this bourbon.